Our shop has been open since March 2006 and has proven to be a huge success. It is the main source of income for the branch and is how we fund the work we do. We sell good quality items including books, toys, clothes, kitchenware, and official Cats Protection goods. The shop can be found in Cross Keys Mall (walkway between Waitrose car park and high street - next to Lloyds bank). As well as raising funds for the branch, it is a point of contact for the public. Please drop in to meet some of the team if you are in St Neots. We are always in need of good quality bric-a-brac to sell in the shop. The only items we cannot take are electrical items, videos, large hard back books and cassettes. All we ask is that they are in good condition and clean as we have to pay to dispose of items we can't sell. For large donations please call 01480 476696 (9am - 6pm, Monday to Friday). 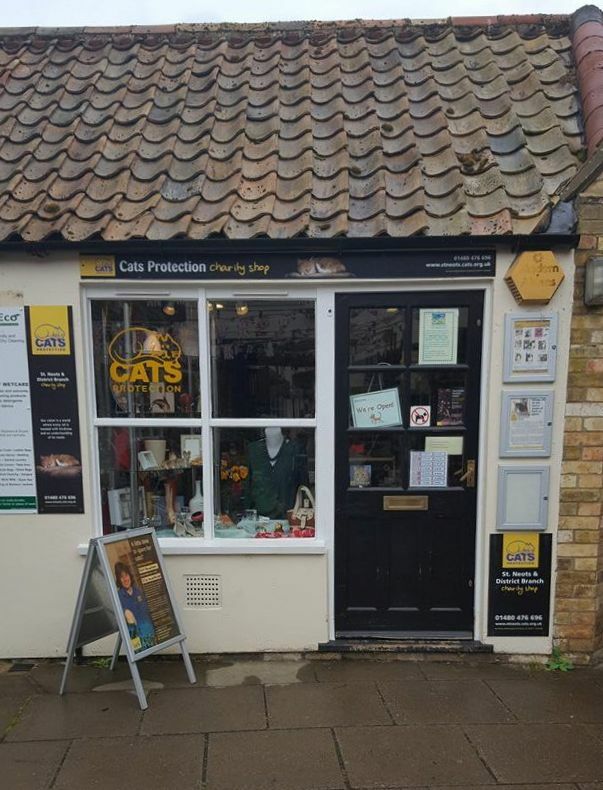 We also accept donations of cat food in the shop as well as used stamps. We are currently looking for volunteers to cover regular or one off shifts in our charity shop. Come and join our friendly team and help raise funds for the cats in our care. Full training will be provided. Call us on 01480 476696 (9am - 6pm, Monday to Friday) for more details.